Physical injury or mental suffering caused by events or carelessness of another party produces personal injury cases. Personal Injury cases include defamation of character, auto accidents, dog bites, medical malpractice, product defects ... etc. To ensure your P.I. 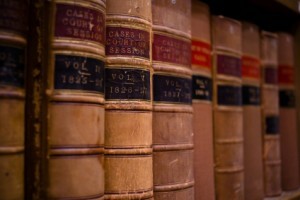 case has legitimacy, you need to contact an attorney. If you experienced an accidental personal injury or damages through the mistake of another, that individual or business is legally liable and can be required to pay damages. To establish liability, the court seeks to find disregard – lack of care in the opposing party or parties that caused the injuries. Damages are normally awarded based on the strength of your records/documentation and level of injury. An attorney is suggested in personal injury cases over all others in order to increase your settlement or compensation from the insurance companies, which in general represent such cases. Personal injury matters are significant; usually involve serious injury, enduring disability, and even fatality. Victims rely on the personal injury attorneys to recoup financial damages that are necessary to cover their medical care, restore lost income, and pay compensation for their pain and suffering. Without a capable, experienced personal injury attorney, your likelihood of getting reasonable compensation decreases. A personal injury attorney should accurately review the value of a personal injury case, estimate its financial worth, and decide the decisive plan. Insurance company lawyers argue for nearly all-personal injury defendants. These corporate attorneys try to pay out the smallest amount feasible. The defendants are frequently willing to compensate to avoid expensive trials, negative publicity, and the likelihood that a court would grant the plaintiffs additional funds. Our law firm welcomes the pleasure to discuss your personal injury affairs. Our firm will accept your cases on a contingency basis. 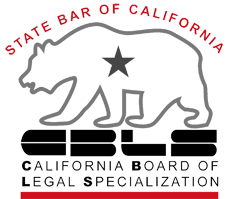 We will disburse trial preparation costs necessary to productively protect your legal rights. We are only compensated if we succeed in your personal injury case. In other words, if your case is one in which we can help, we will advance costs in most PI actions. To establish whether or not you have a feasible case, we need to be aware of all the facts of your injury case. For instance, the type of accident, how did the injury occur, the injury description and any additional information you feel is relevant. Moreover, we need to know what damages you suffered. If you know whom the party or parties are that are responsible for your injury it will help us expedite your action. To reach the attorneys, please call 714-971-8000. We look forward to helping you and your family.